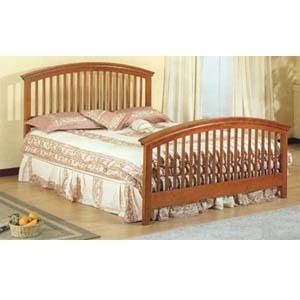 Oak Finish Queen Size Spindle Bed. Easy To Assemble. Strong Construction. Dimensions: 64W. X 50H/33H..